Monster is adapted from the late Walter Dean Myer’s award-winning, 1999 YA novel, one of a precious few to feature an African-American main character—a character confronting a social kaleidoscope of prejudice, peer pressure, family expectations, ideas of masculinity and artistic hopes even as he faces murder charges. An introspective teen filmmaker turned felony murder defendant Steve Harmon—began more than a decade ago with a novel that broke new ground. In a book that fused photos, diary entries, Steve’s own screenplay and courtroom action, Walter Dean Myers gave voice to characters seldom seen in literature: African-American teenagers trying to carve their own path through an urban labyrinth of prejudgment, pressure and uncertainty. The book was an instant hit, an emotionally charged conversation starter that flew off school library shelves. 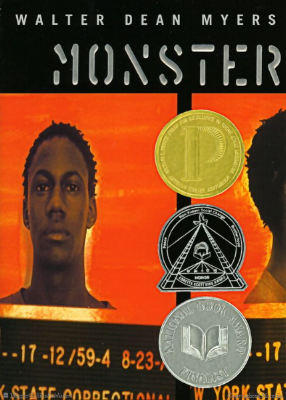 In a time of increasingly deadly police-minority clashes and mounting legal inequity, MONSTER was also celebrated as a breakout in the culture, garnering the Michael L. Printz Award for Excellence in Young Adult Literature, as well as being named an ALA Best Book, a Coretta Scott King Honor selection and a National Book Award finalist. Myers’ own story was one of achievement against the odds. His mother died when he was two, leaving Myers to grow up in a Harlem foster home. Though gifted and accepted into selective Stuyvesant High, he dropped out to join the army at 17. Later, as he worked a series of day jobs, he began writing by night, honing his craft in the midnight hour. By the mid-70s, Myers had found a remarkable affinity for writing about urban teens—especially those facing hard choices while also navigating friendships, talents (his characters were often artists, writers or athletes) and finding their voices. He published dozens of popular novels including Motown and Didi; The Glory Field; Slam! ; Autobiography of My Dead Brother; Lockdown; and such biographies as Malcolm X: By Any Means Necessary and Frederick Douglass: The Lion Who Wrote History. For all his literary devotion, Myers also regularly spent time in schools, libraries and prisons, working directly with kids. In 2012 and 2013, the Library of Congress chose him to serve as National Ambassador for Young People’s Literature. Myers passed away at age 76 in 2014. Myers foresaw the situation we now face in 2018—a time when 1 in every 3 black men can expect to spend time in prison and African Americans are incarcerated at rates as high as10 times that of white persons. Once caught up in the criminal justice system, glaring racial disparities make it much harder for young black men to resume their lives, even if first-time offenders. The barriers go far beyond higher arrest rates to stark differences in bail amounts, sentence lengths, types of plea deals, probation outcomes and access to community resources and services.